Check out Tobi's Judy One Shoulder Crop Top Get ready for good times with the White Judy One Shoulder Crop Top. In crisp cotton with stretch, this pom pom crop top has an elasticated one shoulder neckline and bubble hem, with a pom pom trim on the frill overlay. Pair this party blouse with the a skirt for days when dancing might happen. Get ready for good times with the Black Judy One Shoulder Crop Top. 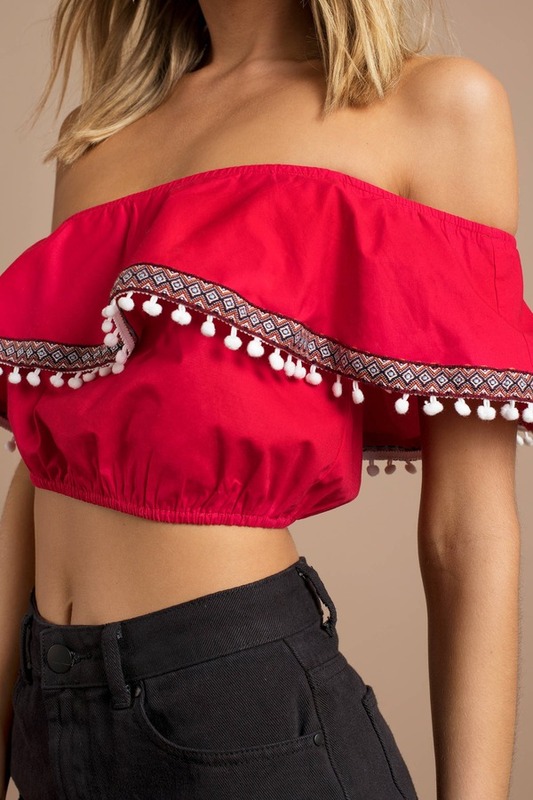 In crisp cotton with stretch, this pom pom crop top has an elasticated one shoulder neckline and bubble hem, with a pom pom trim on the frill overlay. Pair this party blouse with the a skirt for days when dancing might happen. Get ready for good times with the Red Judy One Shoulder Crop Top. 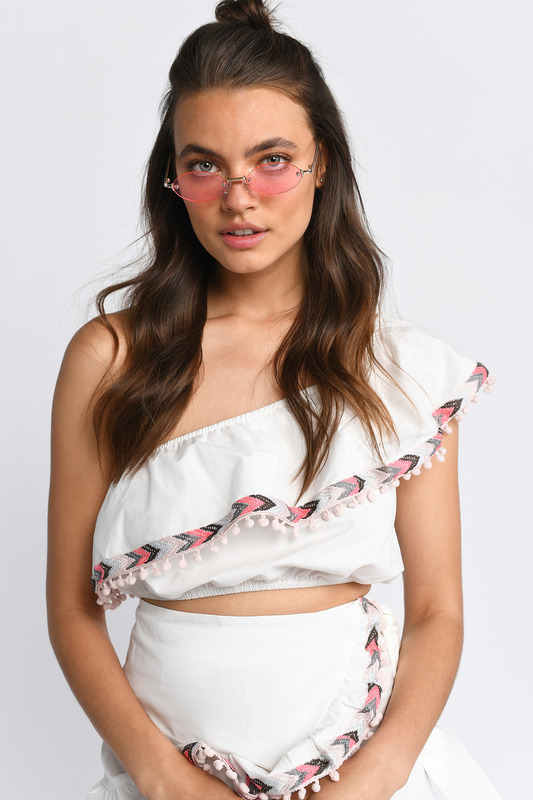 In crisp cotton with stretch, this pom pom crop top has an elasticated one shoulder neckline and bubble hem, with a pom pom trim on the frill overlay. Pair this party blouse with the a skirt for days when dancing might happen. Get ready for good times with the White Judy One Shoulder Crop Top. In crisp cotton with stretch, this pom pom crop top has an elasticated one shoulder neckline and bubble hem, with a pom pom trim on the frill overlay. Pair this party blouse with the a skirt for days when dancing might happen.